Introducing Ask A Scientist at Third Coast Review! We love our museums. And really, what’s not to love? Whether you’re on the lakefront, Michigan Avenue, Museum Campus South, or somewhere a little bit further out, we’ve got some of the finest planetariums, aquariums, galleries, science and history museums anywhere. World class exhibits are in constant rotation, meaning that even if you think you’ve seen it all, you probably haven’t. This is especially true with the Field Museum. Its 480,000 square feet of exhibition space house massive amounts of artifacts and specimens from all over the globe. When we got a chance to go behind the scenes, though, we found out just how much we hadn’t seen. The Field Museum is home to over 26 million artifacts and specimens, all carefully catalogued and cared for. But it’s more than crates of ancient vases and pinned butterflies. We met some scientists in several departments and had a blast learning about new technologies and discoveries, heard great stories, and found a shared passion for science that we couldn’t ignore. So we didn’t. We decided to bring some of the behind-the-scenes to you. Each month, we’ll be bringing you the bio of a scientist currently working at museums around Chicago, and help you get to know them with a few questions about themselves, their work, and what’s happening in their department. We’ll show you some of what they love, and then give you the floor. Leave a question for that scientist in the comments. We’ll peruse the questions and choose a few for our scientific friends, and you’ll see their responses to your questions with the next month’s feature. We’re excited to be able to bring you a look behind closed doors and to introduce you to the movers and shakers in the science world here in Chicago, and we hope you’ll enjoy meeting our first scientist, Dr. Lawrence Heaney, the Negaunee Curator of Mammals at the Field Museum, and a professor at the University of Chicago. Heaney has been in the news recently due to his work in the Phillipines, where he and his associates were studying the unique evolution of species on islands, and trying to discern just how much land is required for an entirely new species to evolve. It turns out, it’s much smaller than the 110,000 square kilometers scientists previously thought was the lower limit–in fact, one tenth the size of that. In studying this, Dr. Heaney travelled to the small island of Mindoro, capturing and cataloguing all sorts of the native life on the island, and made a discovery revolving around a type of worm-eating mouse there that they later discovered had evolved from a single ancestor into four distinctly different species, all living together on this tiny island. This gave the little island of Mindoro its own superlative–the smallest space ever documented to have evolved new mammals from a single ancestor. Heaney and his associates’ discovery was published in the Journal of Biogeography in July of 2017. Below you’ll find the introductory interview we conducted with Lawrence Heaney which will help you get to know who he is, how he got involved in his field and what his job at the Field Museum entails. Once we’ve got the basics out of the way, the rest is up to you! Leave your question for Dr. Heaney in the comment section of this article, or on our Facebook page post for this article. We’ll pick some of our favorites and, in a week or two, publish Dr. Heaney’s answers for you. If you’ve got questions about mammals, Heaney’s work or the Field Museum, ask away! Dr. Lawrence Heaney. Photo courtesy Field Museum. How long have you been with the Field Museum? I started work here in the autumn of 1988 – so I am now coming up on a full 30 years. It has gone remarkably quickly; it’s a great place with a lot of fine people and wonderful opportunities. As a curator at the museum, my primary responsibility is to do research and learn new things about the world’s biological diversity. In theory, I spend about half of my time doing research, though on many days that half seems to begin at about 4pm. I also am involved in the care and use of one of the world’s largest research collections of mammals, in development of new exhibits, and in a wide range of formal and informal training and education in Chicago and in the Philippines, where I do most of my research. How did you get interested in science as a child? How did you get into your field of research? When I was about two and a half years old, my family moved into a little townhouse at the very edge of the rapidly expanding suburbs of Washington DC. For all of the early years of my life, that meant that I had the forest, old farm fields and a creek to explore. That set the pattern for me – learning about the natural world by exploring it, taking personal initiative to learn as much as I could, purely for the joy of it. That led me to take some Saturday morning classes for middle-school-aged kids at the Smithsonian. My favorite was in mammalogy; we learned to skin and stuff mice that were then cataloged into the Natural History Museum’s permanent collection (image that at age 14! ), to identify all of the mammal species in the area, and the basics of mammal diversity and biogeography. At the end of the class I asked if I could work as a volunteer in the Division of Mammals. They agreed, and I’ve been at it ever since. It’s always been a great deal of fun – pursuing the things that I find most interesting. What’s your favorite specimen or exhibit at the Field Museum and why? That’s really a tough question – I have many. The elephants in Stanley Field Hall are fabulous works of art, hunted and mounted for display more than 100 years ago by Carl and Deliah Akeley. They represent one of the high points of taxidermy as an art form and as a way to promote conservation. I also greatly enjoy all of the dioramas in the Hall of Asian Mammals, where you see every major type of habitat that exists in Asia along with their iconic mammals. Where else could you possibly learn so much so quickly or easily? And the fossil mammals in Evolving Planet are fantastic – I love’em all. What are some amazing discoveries you’ve made recently in your work? As a result of intensive studies in the field and in our labs here at the museum, we have learned that the Philippines has the greatest concentration per square mile of unique mammalian diversity of any country. That blows me away – who would have thought that? This is based in large part on the discovery of over 50 previously unknown species in the Philippines since I began working on that fauna in 1979, and the pace of discovery and formal description is currently increasing with no end in sight. This includes a study we published just last month: it shows that three species of forest mice that feed mostly on earthworms on the island of Mindoro, are all descended from a single ancestor that arrived about two and a half million years ago from Luzon, (the much larger, nearby island). This makes Mindoro the smallest island in the world on which we know that speciation by mammals has taken place within the island. Mindoro is slightly smaller than Yellowstone National Park, which is good news – it means that at least some protected areas are large enough that, given enough time, they could replenish species that go extinct. That’s a pretty hypothetical situation, but a very cool one to think about. This morning we installed and activated a new liquid nitrogen tank in which we store frozen DNA samples. We have roughly 80,000 samples from mammals all over the world – some other museums have DNA collections with more samples, but I don’t know of any that contain more species of mammals than we have. This is one of the most heavily used parts of our collection, by our own research staff and by researchers around the world, and is crucial for our efforts to document the extent of the diversity of mammals, and to reconstruct the “tree of life” that reflects their evolutionary history over the surface of the earth. It’s an exciting time to be doing research – DNA studies have allowed us to answer questions that were entirely out of reach previously. 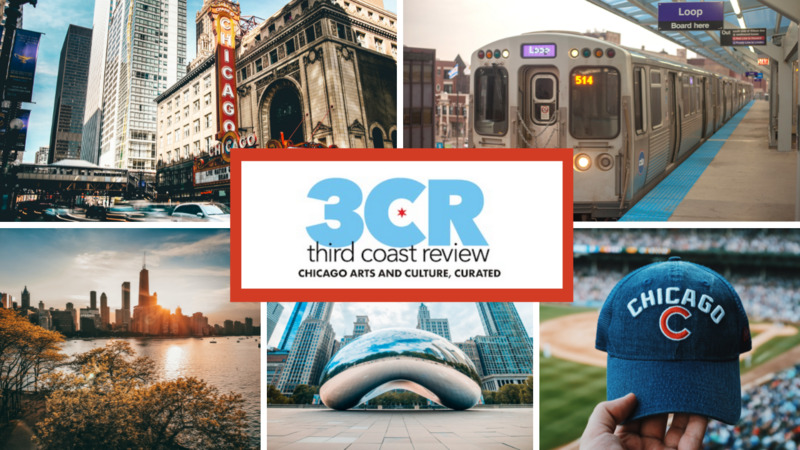 Third Coast Review thanks Dr. Lawrence Heaney for taking time out for this interview, and invites our readers to submit questions for him to answer using the comment section below or via our Facebook page. Leave your question below and then look out for your answers to be published in the second part of Third Coast’s first Ask A Scientist feature! What is the status of the exploration of human consciousness? Do you think that robots will “leap” into a new form of consciousness? This is so interesting. I don’t know about skinning mice, but the discovery of mammalian life in the Philippines certainly is. I have a question. Do mosquitos have any useful function? Over the last few years I have been seeing articles about evolution happening faster than was previously estimated. Instead of changes over thousands of millions of years, evolution can happen over much shorter time spans, and therefore be actively observable. What are your thoughts on this? Do you know of any examples of this, or is this being misinterpreted?